The unique fragrance and pungent flavor of rosemary make it a key part of many dishes, particularly in meat recipes. If you’re in the middle of cooking and realize that you are out of rosemary, you might think it’s time to call it quits. After all, what could replace the special flavor that rosemary adds to a dish? Frankly speaking, there is no perfect substitute. If you want the exact flavor of rosemary, you need rosemary! But that does not mean that there are no other good rosemary substitute options. In reality, there are many great options that you can use to substitute for rosemary! While they do not have the exact taste, the following substitutes have similar flavor profiles that work well in recipes that call for rosemary! What Are Some Good Dried Rosemary Substitutes? What Should I Use To Replace Fresh Rosemary? My Recipe Is For… What Substitute Should I Use? Rosemary Or Not, Get Cooking! Generally speaking, there are a few substitutes for rosemary that will always be good choices. These include thyme, tarragon, and savory. If you love the flavors of two or more of these options, you might even mix them together for a more complex flavor! Dried thyme tends to c﻿ompl﻿ement the same types of food that rosemary complements, and that makes it a good substitute for rosemary. It won’t taste the same, but the thyme will add flavor that will make your dish delicious! Again, tarragon will not be a true substitute for rosemary but will be a great alternative in many dishes. Tarragon is typically used in sauces, meats, and with fish, particularly in French dishes. Tarragon and rosemary are often used together, and this will make the taste of tarragon a good substitute for rosemary since their flavors are familiar. While the tastes of rosemary and savory are actually quite different, savory replicates the “savory” taste that rosemary is usually bringing to a dish! If you’re using savory, you should use it as a dry substitute. Start with ¼ teaspoon for every 1 teaspoon of fresh rosemary called for and add more as needed. If your recipe calls for fresh rosemary, the best substitute is dried rosemary! This is a very successful way to replace fresh rosemary. To get the characteristic flavor of rosemary, all you need to do is calculate the conversion between fresh and dried rosemary. Follow this rule: ¼ teaspoon of dried rosemary can replace 1 teaspoon of fresh rosemary. If you want to stick to fresh ingredients, you can use fresh oregano or basil as a substitute for rosemary! A one-to-one substitution conversion will work perfectly. If you cannot use these options, any of the other substitutes in this article will work as a replacement for fresh rosemary! While I’ve shared a few herbs that work as substitutes for rosemary, there’s more you need to consider. Using any general substitution is not the best choice. With rosemary, you will want to consider what you are cooking before you choose your substitute. Take a look at the list below and choose the substitute that works best for the dish you are making! When cooking meat, the best rosemary substitute is sage. This flavor complements most meats and comes in both dried and fresh varieties which makes it easy to use. The nice thing about cooking with fish is that many flavors that go well with fish! While Rosemary tastes delicious with fish, it’s not the only herb to does. All of these spices will give a very different flavor than rosemary, but it will still be a delicious cut of fish! Caraway seed is a great substitute in dishes that have a lot of spices or have sausage in them. This flavor is powerful without being overpowering, which makes it a great choice for dishes like this! Rosemary is often used to give potatoes an extra flavor boost, but other spices that can work well to do this. Mushrooms taste great with rosemary, but there is another great option: marjoram! Marjoram tastes delicious in mushroom recipes and will be a great rosemary substitute. If your recipe already calls for marjoram, simply add more. If it does not, use an equal amount of marjoram as you would use of rosemary. When cooking lamb, you will want to use a combination of spices to complement its flavor in the same way that rosemary would. Make sure the total amount of these herbs equals the total amount of rosemary that the recipe called for. 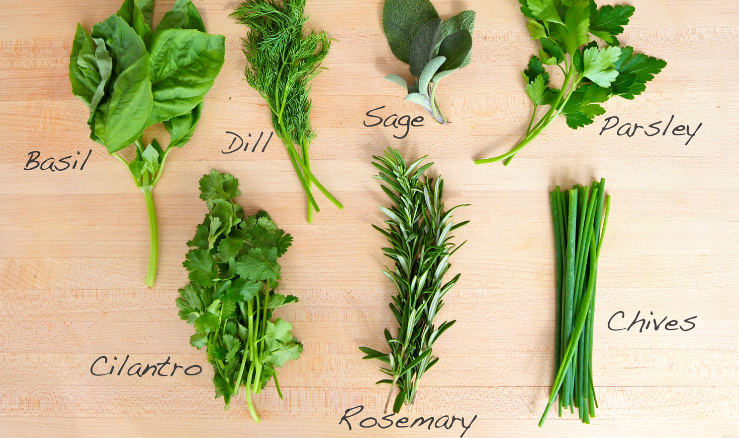 If your recipe already includes one of these herbs, exclude it here so that it does not overwhelm the lamb. There’s no reason to go shopping if you’re out of rosemary, and there’s no reason to panic. With these rosemary substitute options, you’ll be on your way to making a delicious meal in no time! Remember that you can use thyme, tarragon, or savory as substitutes for rosemary in nearly any dish. If you’re making chicken, steak, fish, potatoes, or lamb, be sure to choose the spice that fits the recipe best. Have you found the perfect substitute? Share with us in the comments below, and share this with anyone who might need the tips on rosemary substitutes!